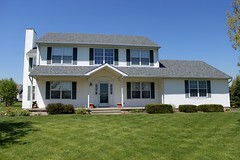 Welcome to Biondo Contracting, the most trusted Sea Girt Roofing Contractor in the area. We specialize in many Sea Girt roofing service including: new Sea Girt roof installation, custom Sea Girt roof repairs and any roofing or siding need you may have. At Biondo Contracting, we use only the finest quality materials thereby greatly limiting the need for future costly repairs. Biondo has set the Sea Girt roofing industry standard with our prompt and effective service, quality workmanship, and attention to detail. 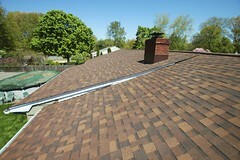 Large or small, we will make your roof project the best that it can be and will exceed your expectations. 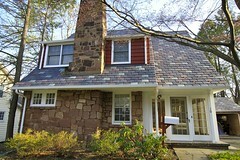 You do not want to trust your needs to just any roofing company near Sea Girt . Experience matters when it comes to roofing companies. When you work with Biondo Contracting, you have the assurance that you are working with an experienced roofing contractor in New Jersey. Our 30 years of experience mean that when you call us, you are getting the very highest quality in workmanship and materials. In addition, at Biondo Contracting, we do not subcontract out any of our work. You will work with roofers in Sea Girt who will work on your home as part of our team ensuring the quality of the roof and service that you receive. Biondo Contracting is family owned and operated, which means that your roofing project will be done by someone who cares that you are completely satisfied. With the owner on every job with the employees, you have the assurance that you are getting workmanship that you can trust. Every employee is experienced, certified, and has been with our company for a minimum of seven years. In addition, all technicians participate in ongoing training by attending seminars, workshops, and classes to guarantee that you are getting the most up-to-date service and techniques. 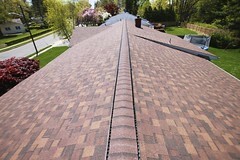 Biondo serves the Sea Girt NJ area and provides roofing services to the areas surrounding Sea Girt in Central NJ. Some of the areas are: East Brunswick, Short Hills, Millburn, South Brunswick, Monmouth Junction, Livingston, Rumson, Watchung, Scotch Plains, Springfield, Union and many more. For more information on this Sea Girt NJ roofing contractor and it’s roof replacement services, or for a free roofing estimate, call Biondo contracting today at (732)257-2926 or visit the website.